Yesterday Maddie and I made a trip back to Kalamazoo. I had an appointment and was able to get a few errands done. I also saw friends, met that cute baby I showed you the other day (love!) and stopped by the cafe to do the window. I was reminded again how stinking cute the Garden Gate Cafe is, located downtown Kalamazoo on the mall. The owners are good friends of mine. I have worked off and on for Doug and Nancy over the years in many capacities. You may recall my time at the farm as event coordinator primarily planning weddings. That was their farm. It went to new owners right at the time my house did and now they live in a very cool loft across the street from the cafe. I am in pink heaven when I visit there. Right now there are some of my quilts hanging on the walls. 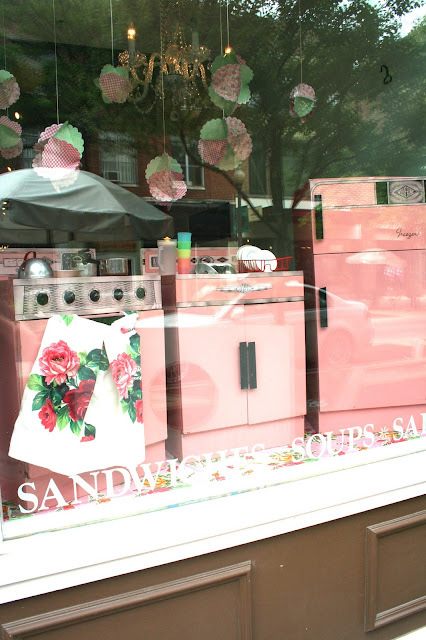 Nancy recently acquired the vintage Wolverine pink child's kitchen so that was perfect for the window. Coupled with some fun Martha Stewart hanging whatchmacallits it was made complete. 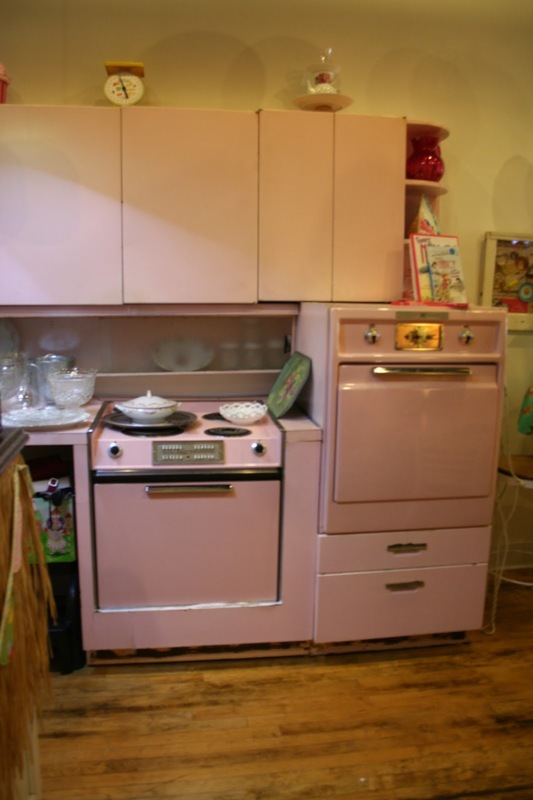 Nancy also recently bought the real pink kitchen from a local home. 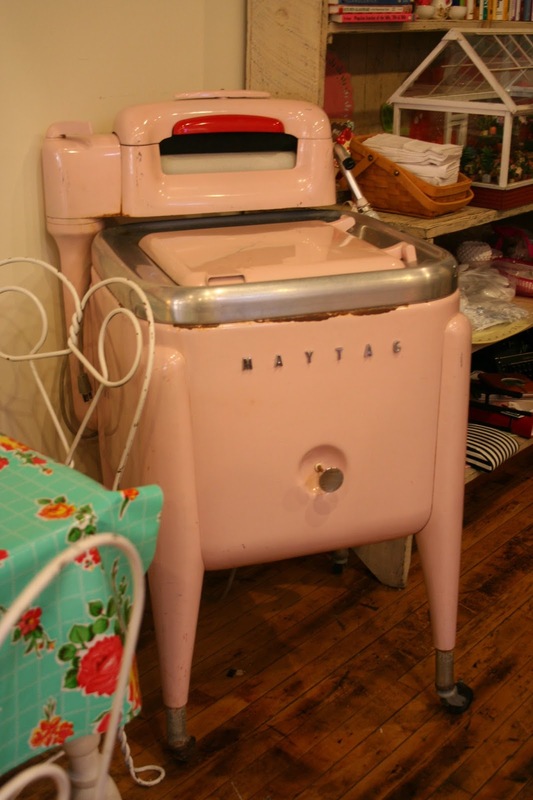 The owner was an elderly woman who loved that pink kitchen for many, many years and when a new owner came in, they decided it was time to go. If I could, I would rip out my own cupboards and put those in. They are metal just like the child's kitchen. It is in perfect condition. If any of you make it to Kalamazoo and are stopping in, let me know and I'll make the drive to meet you there. It is well worth the visit! 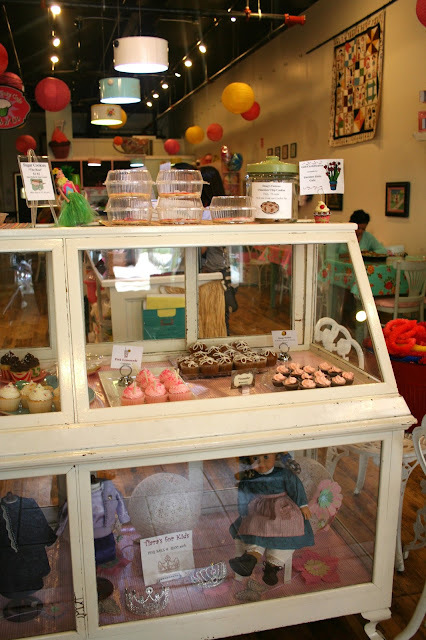 Aaaw, that is the cutest cafe ever! If I ever get to America, that'll be my first stop. Thank you for sharing all those lovely pictures :). Love love love All the PINK!!!! Wish you and the cafe were closer! Just love it! So glad the pink kitchen found someone new to love it! I'd love to visit that cafe. It is gorgeous. We have a similar vintage themed cafe not too far away from where I live and it's a lovely place to visit for great scones, jam and cream! 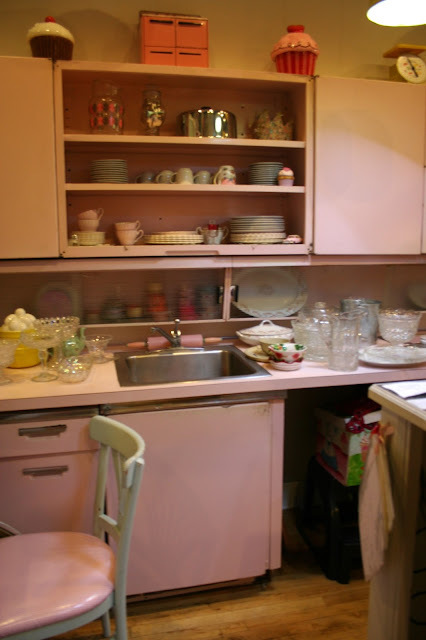 Oh goodness~ all that pink in the kitchen is marvelous! I love the children's set too. What fun! oh I sooooo want that pink wringer washer. heaven. Pink! When we were house shopping many years ago, there was a pink kitchen. I loved it! My husband squirmed, silly man. 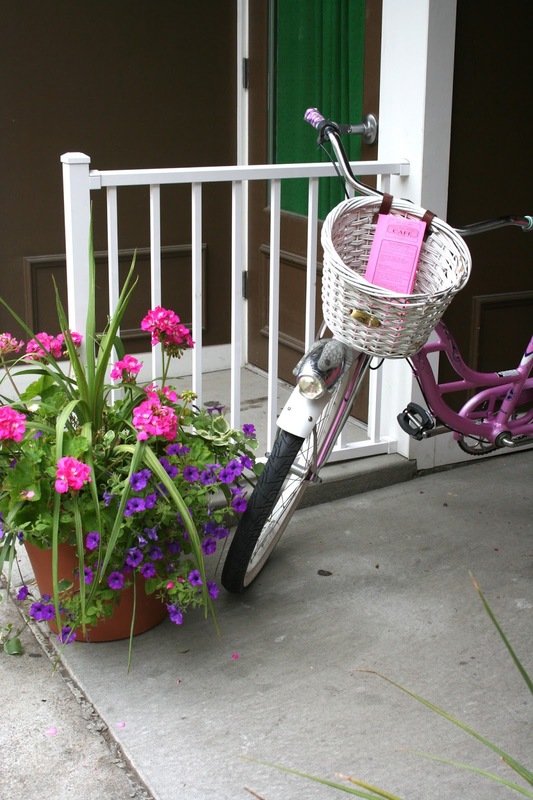 I wonder if the new owners kept the pink? Love your windows? Cute! 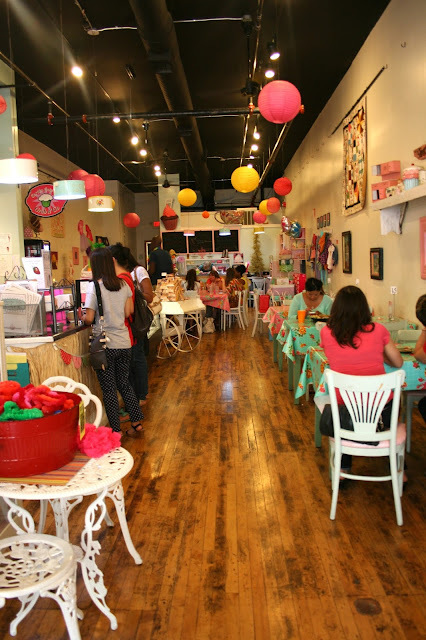 I live in Michigan and need to check this spot out the next time we, my friends and I, go to the quilt shops in that area!